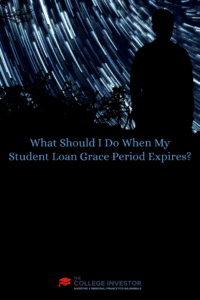 Home » What Should I Do When My Student Loan Grace Period Expires? If you graduated this past spring, you’re facing a tough situation soon — your student loan grace period is going to be out of deferment and you’re going to have to start making monthly payments . . . ouch. 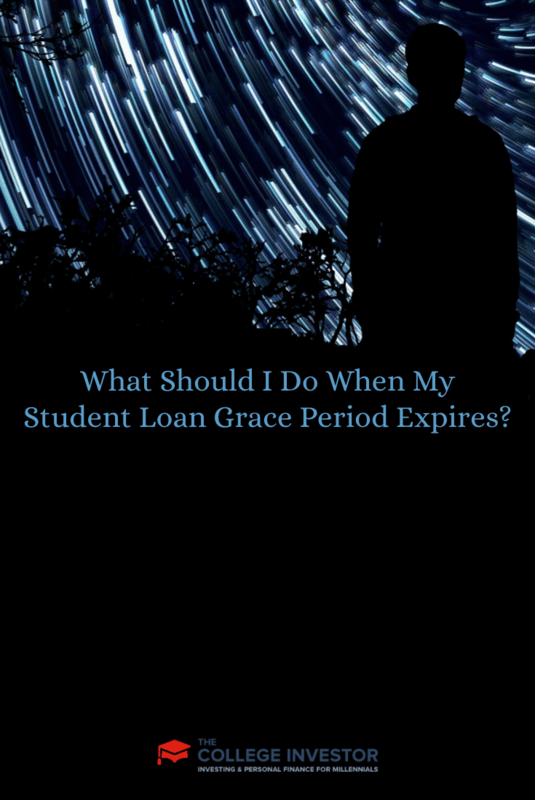 For most student loan borrowers, you get a six-month grace period after graduation. So for May and June graduates, that period is expiring in November or December. What will typically happen is your lender will send you a letter about now, one to two months before your first payment is due, explaining to you how much your payments will be, where to send the payments, and a bunch of privacy information. They also provide you with a customer service number that you can call if you have any questions. If you have student loans, and you haven’t received this information yet, make sure you get in touch with your lender. If you don’t know who that is, you can figure it out here: National Student Loan Data System. Once you have that information, you have to start making payments — on time, every time. The worst thing you can do is not pay your student loans. It will damage your credit, and no matter how hard you try to avoid them, they will never go away. The government will just come after you later on and garnish your wages, and even your Social Security. So, start paying your loans. But you don’t have to be burdened by your payments. When you first receive the letter from your lender about your minimum payment, that is based on the Standard Repayment Plan, which is a 10-year, flat monthly payment. However, there are other options, and you simply have to call your lender to figure out what works best for you. Before you freak out at your payment, realize that there are a lot of options for student loan repayment. The Standard Repayment Plan is the default, but there are plenty of ways to make your payment affordable. In Chapter Four of our Definitive Guide to Student Loan Debt, we break down each repayment plan for you. If you have Federal student loans, there are also repayment plans that include student loan forgiveness and could potentially have payments of $0 per month if you qualify. Check out our secret ways to get student loan forgiveness, which highlights these programs. And if your income is low enough, you will qualify for one of them. If you are just having a temporary hardship at the end of your six-month deferment, you could ask for a continuation of your deferment for hardship. Many student loan servicers will grant extended deferments for a variety of situations, including illness, financial hardship, and more. You simply have to call your lender and explain your situation. Remember though: extending your deferment will not get you out of student loan debt. In fact, it will just make it worse, since interest will continue to accrue. Finally, you could consider consolidating or refinancing your student loans. Student loan consolidation for Federal loans won’t help you payment-wise, other than make it easier to just make one payment instead of many. Refinancing or consolidating your private student loans may be helpful, but make sure you do it the right way. The biggest student loan scams out there all revolve around student loan consolidation. That’s why we put together two resources for student loan consolidation: Stop Paying for Student Loan Consolidation and Consolidate Your Student Loans the Right Way. Make sure you read these and see if student loan consolidation is really right for you.